LaripS 1002 and 1003 were released January 4th 2006. Both are in the Bach temperament, recorded at Goshen College (Indiana, USA). #1002 is a set of three solo organ recitals, on three CDs. #1003 has one hour of music on harpsichord, plus a 20-minute section of bonus tracks on organ. LaripS 1001 "In Thee is Gladness" was released in January 2005. It is a program of music for organ and trumpet, performed in equal temperament on two organs in north Germany. The following samples are all performed by Bradley Lehman. © 2005-14, all rights reserved! Brahms's O Welt, ich muss dich lassen Op posth 122 #3, composed c1896 near the end of Brahms's life. Played on organ. and then in Bach's temperament on the Taylor & Boody Opus 41 [LaripS 1002]. CPE Bach, Württemberg Sonata #2 in A-flat, 1st-2nd movements, 1742 - performed on a Yamaha piano, from a church service in October 2009. The video's captions describe the 17 notes required by the composition, and point out some of the musical features along the way. This is a piece that according to Di Veroli's 2009 book "made no musical sense" in any other known temperament but equal! CPE Bach, D-flat major going to G-flat minor(!) 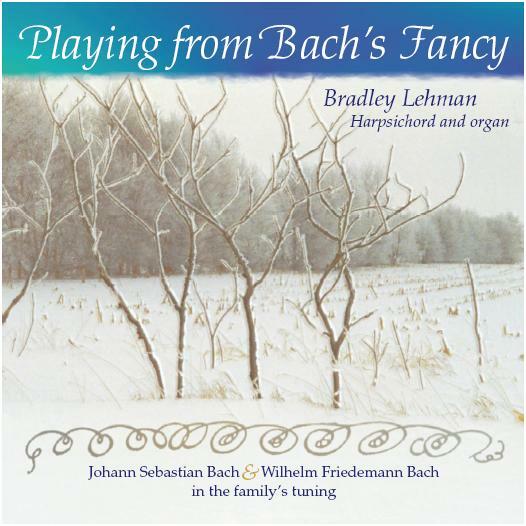 (excerpt from the Württemberg Sonata #2 in A-flat, 2nd movement, 1742) - from a 2005 harpsichord recital by Bradley Lehman at Bluffton University. Same composition as above, but on harpsichord. See also the videos page and the audio streaming page! A direct comparison of equal temperament and the Bach temperament is available as a set of two video demonstrations on YouTube. 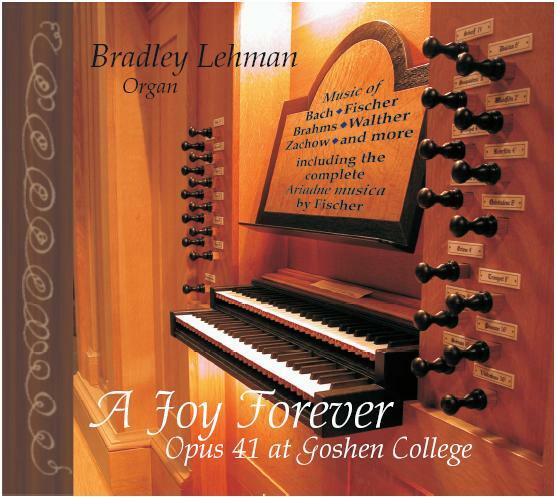 The Taylor & Boody Opus 41 organ (played in LaripS 1002) is part of the Goshen College Music Center, Goshen Indiana. Some of my musical priorities and principles are described at my older essays "Decoro, sprezzatura, grazia" and "What does a musical performer think about?". Six other samples drawn from LaripS 1002 and 1003 are hosted at Oxford University Press's web site, as listening examples for the article "Bach's extraordinary temperament: our Rosetta Stone". See the outline page for details and that link.